Doctor Black Jack operates out of spite, and is reminded to always be humble, in Black Jack Volume 5. Note: Black Jack Volume 5 is, of course, the sequel to Black Jack Volume 4. The Vertical edition is published not in chronological order, but in the preferred order of Osamu Tezuka, so spoilers are not generally a problem. 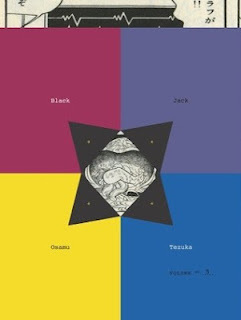 The review for Black Jack Volume 1 is here, and the review for Black Jack Volume 4 is here. Otherwise, read on! Manga Monday: Can Ryukku rise to the challenge of protecting his teacher? Palace intrigue - and Shurei's temper - really flare up in The Story of Saiunkoku Volume 2. 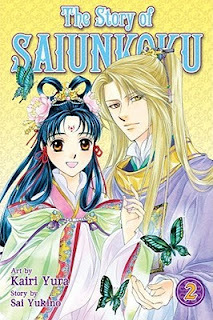 Note: The Story of Saiunkoku Volume 2 is, of course, the sequel to The Story of Saiunkoku Volume 1. The review of The Story of Saiunkoku Volume 1 is here. Otherwise, read on! Manga Monday: It's a good thing I don't always get sick when I stay up too late, too! Yotsuba learns to bake, takes a trip to the convenience store by herself, and discovers where cows live in Yotsuba&! Volume 7. Note: Yotsuba&! 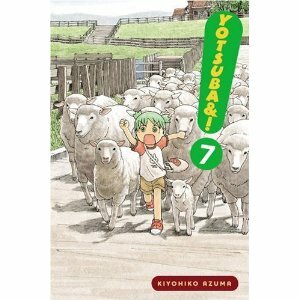 Volume 7 is, of course, the sequel to Yotsuba&! Volume 6. The review of Yotsuba&! Volume 1 is here, and the review of Yotsuba&! Volume 6 is here. Otherwise, read on! Does a person have default ownership of their own genome? Who owns the biological waste that gets left behind at hospitals and clinics every day? What, exactly, defines informed consent and when does it apply? Can an organism or a snippet of DNA be patented? How does this change when it's human DNA involved? These topics, and many others, are tackled in Rebecca Skloot's The Immortal Life of Henrietta Lacks. Skloot was first introduced to Henrietta as a side-note in ah High School biology class.The HeLa line of cells was the first to be successfully cultured in a lab. This created a way for scientists to study how cells work outside of a human host. The ability to work with cells in this way paved the way for vaccines for polio and influenza and helped create some of the most popular drugs to fight cancer. It helped to found the study of chromosomes and DNA itself. But what of the woman behind the cells? The HeLa strain was discovered long before such things as 'informed consent' and HIPAA laws. Discovered in 1951 by a researcher at Johns Hopkins, it was cultured from a young black woman living outside of Philadelphia. She later died of the cervical cancer from which HeLa sprung, which metastasized throughout her body. She left behind five children and a legacy that would change science forever, but her existence as a person would be largely forgotten, even by her own young children. Rebecca Skloot's journey to discover Henrietta Lacks takes her on a journey that she could hardly have imagined when she started out. Skipping through time, the book ventures from Henrietta's mother's upbringing in Lacksville to her youngest daughter's home. We meet the doctors and nurses who discovered the unique traits of her cells, the ones who put the cells to use curing and preventing a myriad of diseases, and the one young doctor who finally takes the time to explain to her children exactly how important the mother they didn't get to grow up with was to the world. There's a host of failures on the parts of the medical community, society and the Lacks family shown here. Over and over, the doctors and researchers simply never too the time to explain to the Lackses what they were doing and why. In the 1950s, the Lacks children were never tested for the hearing deficiencies that doomed them scholastically. The family as a whole didn't see anything wrong with cousins marrying, probably causing a host of problems with Henrietta's first daughter and also possibly contributing to learning disabilities with her other children as well. 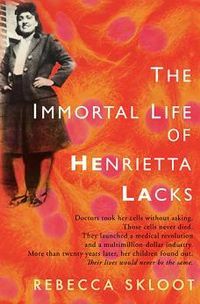 Even though the story skips through the decades, The Immortal Life of Henrietta Lacks is a quick, easy to follow read. While the story of the Lacks family is interesting, the legal and medical information is even more fascinating. The author touches on other patients who have had biological material that was considered useful by the medical field, the legal advances in protection patients' rights, and the history of the care of patients. In an age where GMO food is starting to make headlines and patents and copyrights are making it nearly impossible for scientists to do research, the issues addressed here will only become more and more important. Highs: Watching Henrietta's troubled youngest son finally be shown how important his mother is to the world. Lows: I wish there was more about the legal aspect of some of the issues raised here. Verdict: Simple enough for a reader without much of a science background, The Immortal Life of Henrietta Lacks is a fascinating ride through an aspect of medicine that most never see.